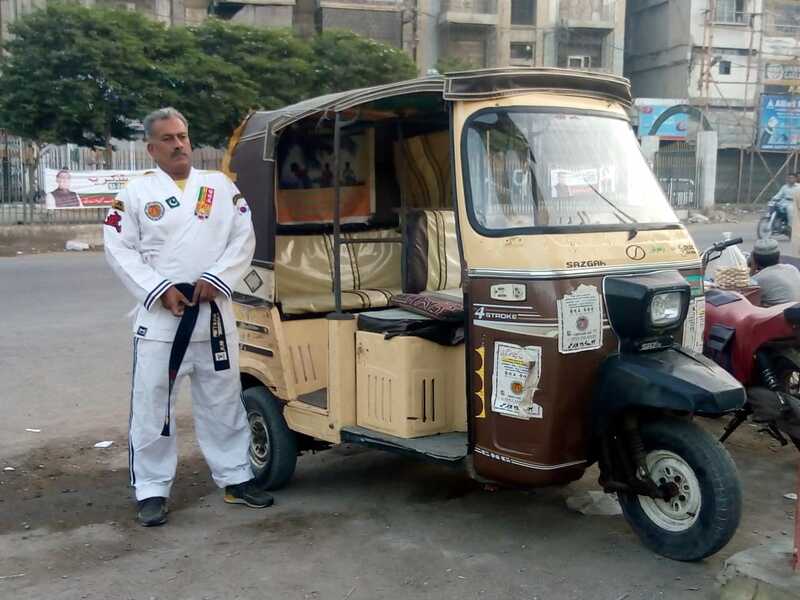 From Karachi to Korea: Is this rickshaw driver one of the greatest martial artists of Pakistan? KARACHI : For a 10-year-old boy from the sleepy city of Mardan, Khyber-Pakhtunkhwa, Karachi held the promise of untold adventures and the dream of a better life. It was the year 1978 and Jannat Gul had just migrated with his family to the city of lights. Wide roads, long cars, high-rise concrete structures and the ready availability of basic amenities, their new home was already a dream come true for the family. Gul’s father, Anar Gul, had landed a job at the home of Mir Afzal Khan, a political personality from their native city. All day, Anar would tend to the gardens, watering the plants and trimming hedges. For the better part of the day, Jannat, the eldest son and the third-born of his seven children, would toil by his side, lending him a hand with the chores. The handsome bungalow was located in Clifton – a posh area located in close proximity to the sea. Jannat got enrolled at a public school, located under the Clifton Bridge. But he had no interest in studies. Being the eldest son, Jannat had to supplement his father meager income. He soon found employment as a lighting technician at a popular video production studio – Video Spot. Here, he rubbed shoulders with some of the biggest actors and showbiz celebrities of the time. It was also here that he met Ghulam Rasool – the man who would introduce him to the love of his life – martial arts. At the time, Friday used to be a public holiday in Pakistan. Jannat, on Rasool’s invitation, started visiting a park on Friday where the latter trained in martial arts. Other men their age also came to the park to practice. Their physique and athleticism intrigued him and soon, Jannat was introduced to his first mentor and trainer, Ashraf Tai. Ashraf Tai was a famous martial arts expert of the time and he introduced Jannat to the Burmese martial art, ‘Bando’. In Jannat, Tai found a keen learner. Under his tutelage, Jannat was able to achieve the brown belt. The mixed martial arts employ a colour scheme to denote the students’ progress in their study. While individual schools may follow differing schemes, the most popular pattern starts with the white belt, followed by yellow, gold, orange, green, blue, purple, brown, red and black. The white belt is for early entrants and is given to amateur fighters. With time and improving skills, the belts are bestowed upon the student. While he was training with Tai, Jannat met another student, Aurangzeb, who had already trained in the Chinese martial art, ‘Shaolin Kung Fu’. Jannat found this form more interesting than Bando and started taking an active interest in it. He soon discovered a dentist, Anwar Zeb, who was also an expert in the Chinese form of martial art. In 1992, an opportunity arose for Jannat to work in South Korea. With aging parents, three sisters, who had to be wedded off, and four younger brothers who needed to be schooled, the choice was already made for Jannat. When he landed in Seoul, he found work in a wood workshop. Jannat’s job was to collect scraps of wood, bind them together and transport them to warehouses or load them onto trucks. “I put in all my energy into the work, because money was so desperately needed at home,” he says. In his down time, he started visiting martial arts clubs. At one of these clubs, Jannat met Jin Woo Lee – an expert in South Korean martial arts. Lee talked Jannat through techniques and basic principles of South Korean martial arts, ‘Taekwondo and Hapkido’. “I found the Korean martial arts to be the most effective, because it teaches you to fight without weapons and also disciplines you for life’s struggles,” says Jannat. When he started out at Lee’s club, he practiced with white and green belt-holders, but they stood no chance in front of him. Soon enough, Lee set up a contest between Jannat and a black-belt holder at the club. Jannat defeated him too, but other members objected over a technique he had used. “They said that harming the opponent wasn’t the aim in South Korean martial arts,” he recalls. But Lee sided with him, saying he had made the best use of wisdom and technique. Jannat remained associated with the club while working in the workshop and acquired the black belt. “The period from 1992 to 1995 was the best time of my life,” says Jannat. “I pursued my interest in martial arts and was able to send money back home,” he adds. Through this money, all three of his sisters were married off and his brothers were admitted to private schools. After his contract with the wood workshop ended in 1995, Jannat came back to Pakistan and started a business of car lubricants and oils. But his passion for the martial arts and fondness for South Korean culture never left him. Between 1995 and 1999, he travelled to Seoul thrice. Each time, he was deported. Amid all this, Jannat’s business suffered. He spent all the money he made on the trips. But he refused to be deterred. In 1996, Jannat started teaching Korean martial arts to local children. The money wasn’t good, but his passion persevered still. To supplement his income, Jannat started working as a parking valet outside Bar.BQ Tonight, one of the city’s most popular eateries. Many of the workers at the restaurant became his students. Several drug addicts, who would normally sleep outside the restaurant, got attracted to his art. “They became clean and started a new life after learning the martial arts,” he claims. Between working as a parking valet and conducting martial arts training sessions, Jannat continued to promote his efforts through his Facebook page, where he got in touch with trainers and experts of martial arts from across the globe. Korean Taekwondo Hapkido Federation’s head, Kum Kum Ho, contacted Jannat and offered him membership of his federation. A martial arts magazine published in the United States featured a special report on Jannat. The same South Korea, which had deported him thrice, was now waiting to welcome him. Jannat received numerous letters and calls from the Korean Federation and finally, he got an invitation to an international championship in 2015. As luck would have it, Jannat couldn’t attend the championship due to the outbreak of contagious diseases in Korea and for other reasons. But he did travel to South Korea 15 days after the championship, where the federation accorded him a grand welcome. Jannat was awarded the Third Dawn certificate, officially recognising him as Master of Korean martial arts. “The respect I received in those eight days of my stay in Korea was enough to compensate a lifetime of struggle,” he says. “I made a name for Pakistan and this is what matters most,” he adds. Jannat may have received accolades overseas, but back home he is still struggling to find support. A father of six children, Jannat has struggled to raise them on a limited income. His wife, though she understands and values his passion for the martial arts, wishes he would also think about their children’s future. Until then, Jannat has always found a way to make ends meet. 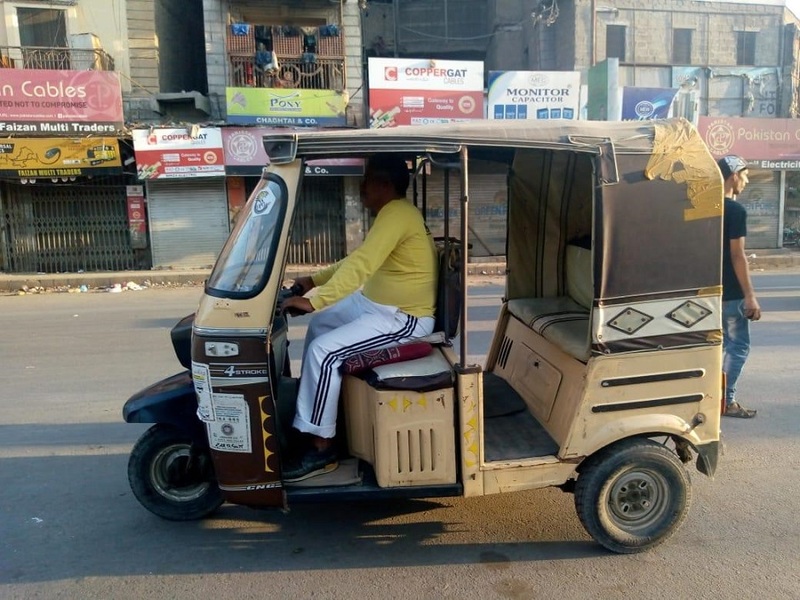 In 2017, he acquired a rickshaw on installments. The upfront amount was loaned to him by a friend. At the back of his rickshaw is a poster, advertising his martial arts classes. These days, Jannat drives the rickshaw for at least 10 hours a day. On weekends, he works as a parking valet at the PC Hotel. What little time he gets in between, he conducts training sessions for children and those interested in learning the martial arts. The training sessions are free for children up to the age of 15 years and are conducted at the Aram Bagh park on weekdays. Each session includes a lecture on ethics, besides the physical training aspect. “I teach them how to be good citizens,” he explains. “A martial artist must respect their parents, do their chores on time and be an example for others,” he says. Some time ago, he also trained 1,200 personnel of the Sindh Police. Subsequently, the Sindh government had promised to hire him as a full-time trainer at the police academy. The promise was never fulfilled. Instead, he says, the Sindh government and the Karachi Metropolitan Corporation continue to create hurdles for him. Just a few days ago, the KMC’s Department of Gardens forbade him from conducting the training sessions, claiming the grass was being damaged. “Drugs are openly being sold and used in the same park,” he says incredulously. When news of the directives reached Local Government Minister Saeed Ghani, he ordered KMC officials to stand down. For now, Jannat can continue his sessions. But what he needs is more support. “I have trained hundreds of youngsters, five of whom are black belt holders,” he says. Last year, he formally registered his organisation, Education and Sports Welfare Association. Without funds or support from the authorities or even philanthropists, Jannat does not have the resources to open a full-fledged academy. He isn’t giving up though. “The one thing martial arts have taught me is perseverance,” he says thoughtfully. What Jannat ultimately hopes for is to be recognised as much in Pakistan as he is overseas. That and a revival of the martial arts scene in Pakistan so the younger generation may partake in healthy activities and grow up to be productive members of society.